This initiative, which is actually officially called the US Product Exchange Program, will give Note7 owners in the US two options. The first option is to exchange their Galaxy Note7 with a newer one. Customers who go this route can have new Note7s in their hands as early as next week. The second option is to exchange their Note7 and any Note7-specific accessories for a Galaxy S7 or S7 edge and a refund of the price differences between the Note7 and the replacement. For instance, if you have a T-Mobile Note7 ($849.99) and wanted to swap it for a T-Mobile S7 ($679.99), you'd receive a $170 refund. Going through with either option will net the consumer either a $25 gift card or $25 bill credit from select (unspecified) carriers/retailers. If you own a Galaxy Note7 in the US, you can either contact or visit the store where you purchased it or call 1-800-SAMSUNG to go about this product exchange. Ridgefield Park, NJ – September 2, 2016 – Samsung Electronics America, Inc. today announced the immediate availability of the U.S. Product Exchange Program for Galaxy Note7 owners. 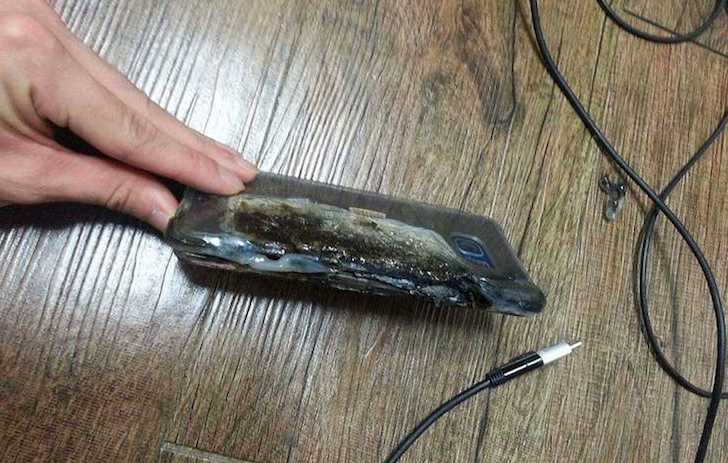 This program was launched in response to the recent announcement regarding isolated battery cell issues with the Galaxy Note7 device.